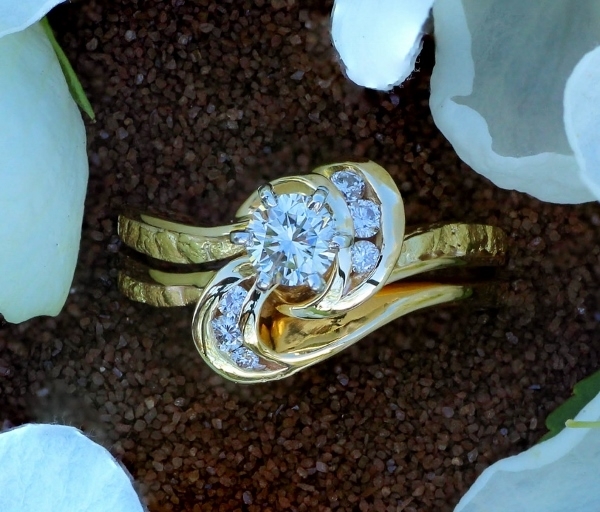 Diamond center stone fancily surrounded with 6 spiraling Diamonds and naturalAlaskan Gold Nuggets in 14kt Yellow Gold. This ring can be customized for you by altering the center diamond or side stones. Give us a call to discuss options for you, 907-456-4991.